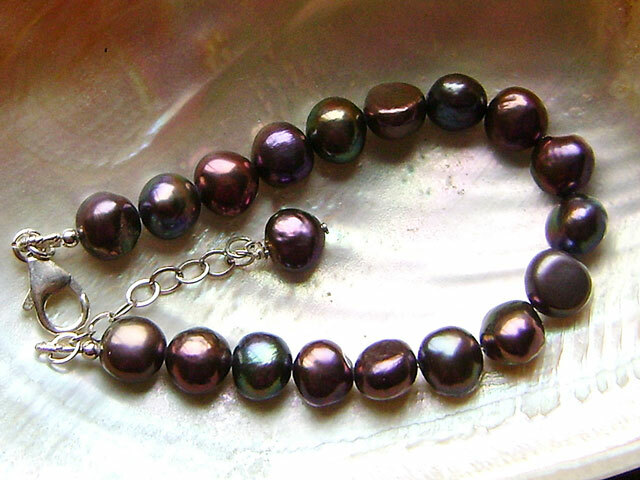 Casually styled, bracelet with plump 9mm pearls showing off the most beautiful iridescent shades - dark overtones of purples, aubergines, greens. Great for layering or simply on its own. Sterling silver trigger clasp and extender, fits 'wrist' sizes 6 to 7.5 inches. 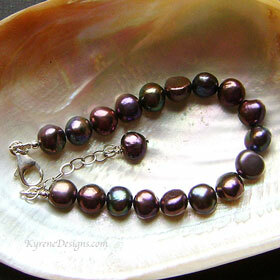 Total bracelet length 8.75 inches. Strung on flexible jeweller's wire. Check the sizing page to find your correct wrist size before ordering.